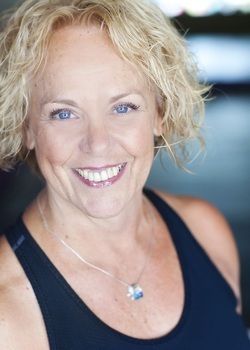 Nancy probably teaches more group classes and different formats than any other instructor at Energy Pilates and Fitness. Nancy devotes herself to Energy working tirelessly day in – day out. Many times she starts her day opening Energy by teaching a 6AM class and is often the last one out the door at 9PM, after teaching her numerous group fitness and private client training sessions scattered through the course of the day. Nancy prides herself on teaching students form and technique not just leading a class through exercises or doing her own workout for everyone to watch. And if you want to be mesmerized at Energy, take one of Nancy’s classes and watch her hands. Instantly you will know she has a dance background. Name any dance or movement style and Nancy has probably studied it and even taught it over the last 35 years. Her dance training has taken her from New York City to Los Angeles. As an Artistic Director, and now at Energy, Nancy encourages all students to have fun, learn, move, get in shape, and feel good about themselves. Nancy is thrilled to have found Debra and Energy Pilates & Fitness; she applauds the commitment to provide disciplined, professional instruction in a fun, friendly and supportive environment; it’s a breath of fresh air. Nancy is also a professional watercolor artist; she develops and leads mission trips to Slovakia for the Lutheran Church, and has four beautiful grandchildren.